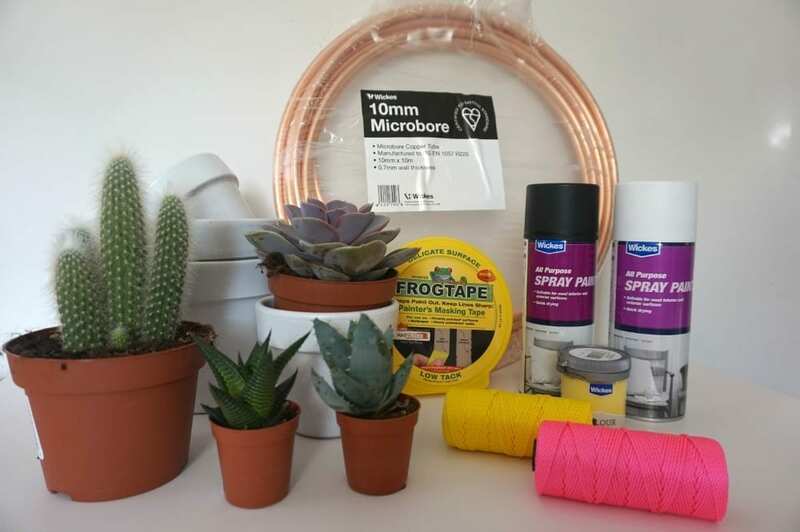 I’ve been a little busy this week testing out some ideas for DIY Planters and Hangers, as I’ve been challenged by Wickes to demonstrate how to brighten up your kitchen in the summer. It’s a project I’ve been desperate to do for a little while now as I really wanted to introduce some plants into my home, and I’m a huge fan of macrame plant holders. I used to make them as a child with my Grandad, so it brings back lovely childhood memories. Firstly you’ll need to make the plant pots. 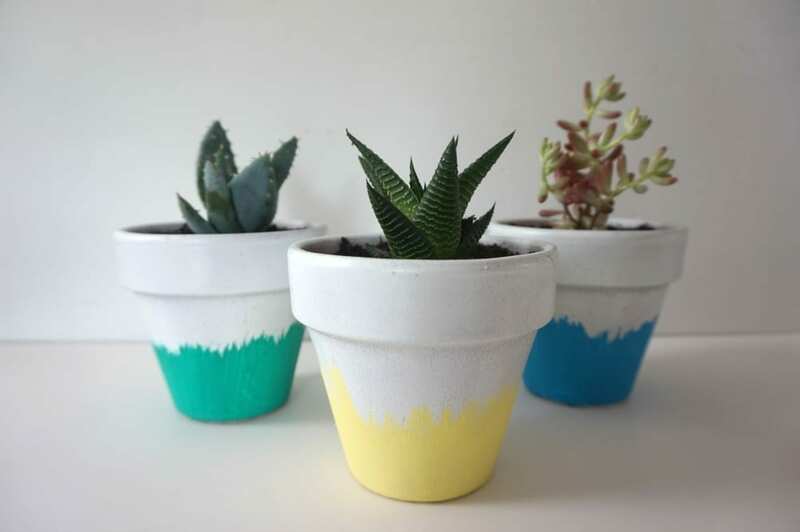 I used inexpensive terracotta pots in different sizes and spray painted them white, but if you have, or can find some white ones to start with, skip this step. 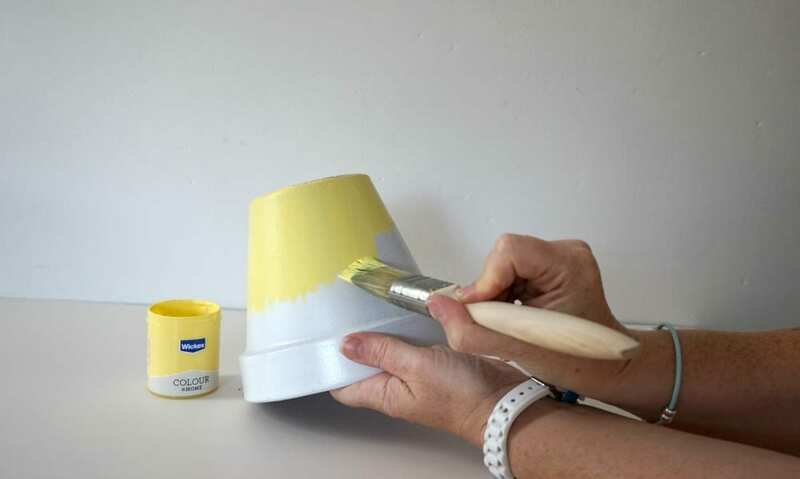 Once dry, take your tester pot and paint on a 5cms band. 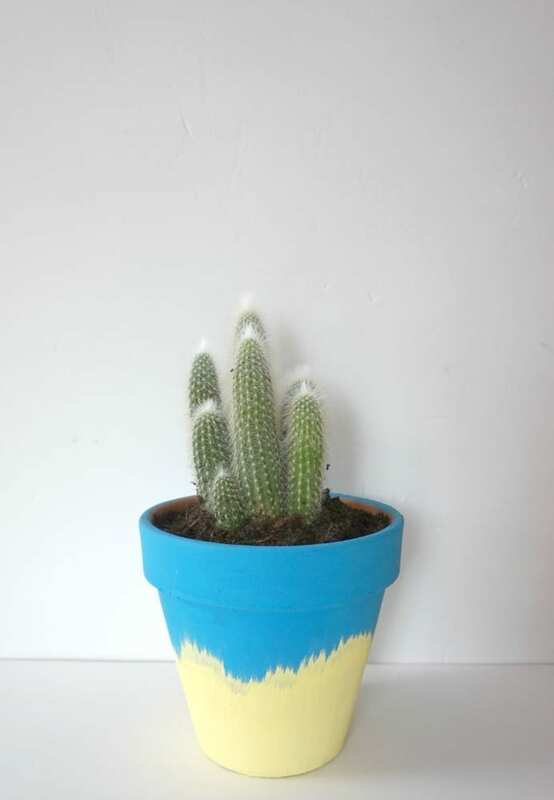 Ensure you hold the plant pot vertically, and make your brush strokes vertical and straight too. Next, keeping your brush thinly loaded with paint, start to drag downwards. 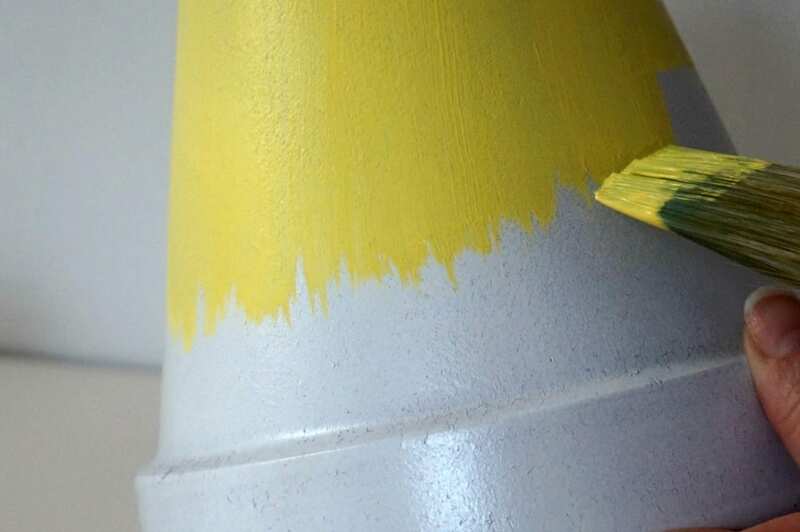 As the paint on the brush runs out you’ll create a streaked effect. Move around the pot quickly, dragging downwards to different lengths, creating a wave around the pot. It doesn’t have to be too uniform, but don’t overload the brush with paint or you won’t get the dragged look. Use different colours, according to your space and the overall look you want to create. I probably should have given the darker colours a second coat as they’ve dried with a streak, but feel free to do this and get a layered effect too. Why not experiment with different colours, combining them to get a new and exciting look that fits your decor? I had a spare planter so gave this one a bit of a wild west feel with a cactus. 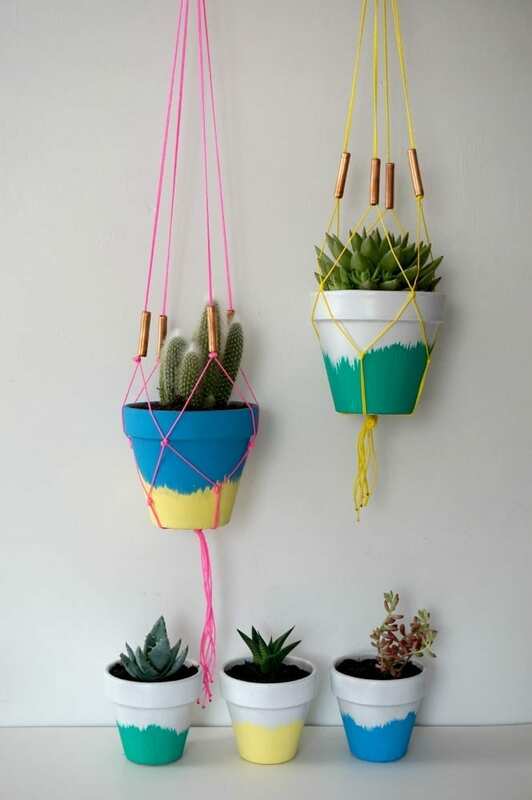 These bright and colourful macrame plant holders are really easy to make and look really effective. Start by cutting 4 x 2 metre lengths of twine and fold in half. 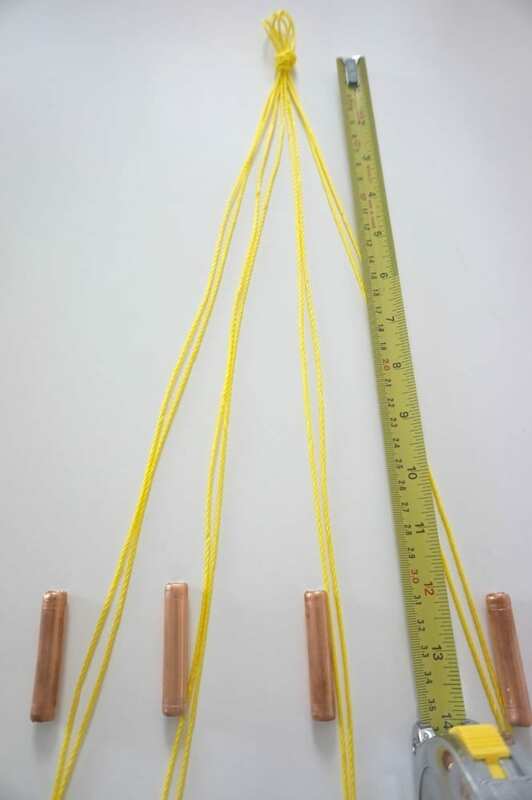 (This creates the loop at the top of the hanger, enabling you to hang them onto a hook or pole – if you don’t want a loop, simply cut 8 x 1 metre lengths). 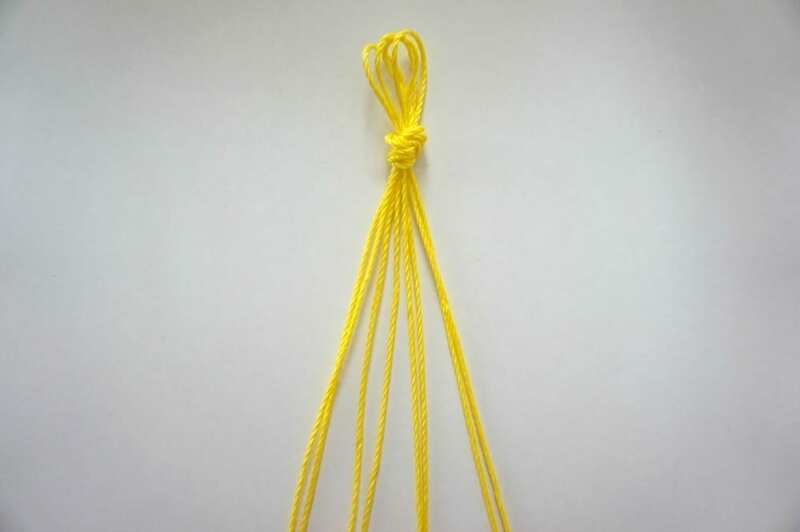 Tie a knot at the top of the fold, creating a loop. Then measure 35cms from the top knot and tie the pair together with a double knot. 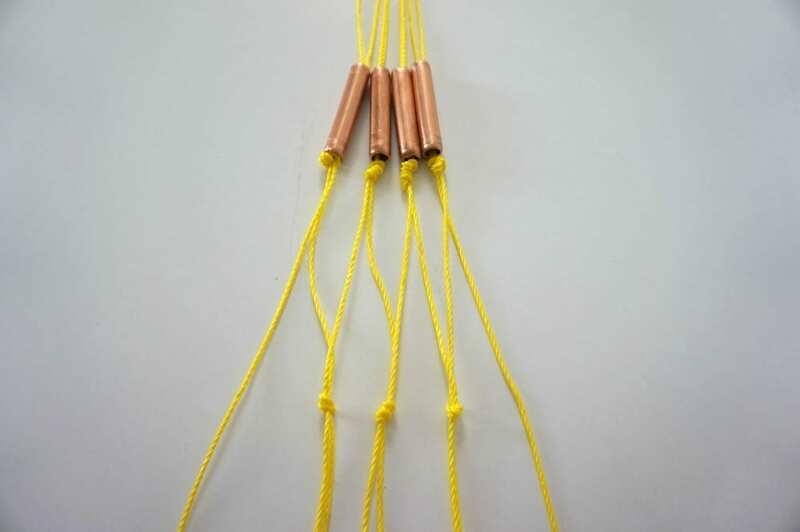 The copper piping will sit above this first knot. Continue doing this until you have just the outer strands left. 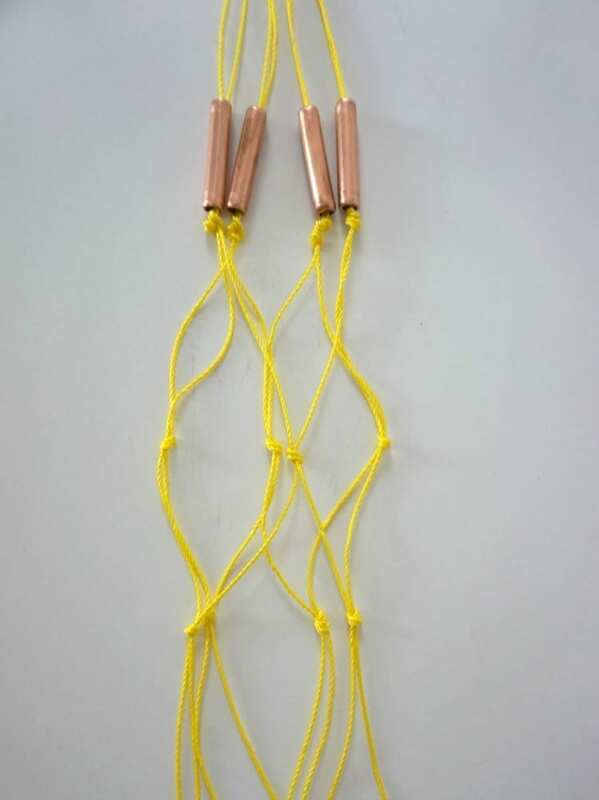 Then lift them and tie together at the 35cm point too. Then finally, repeat again another 8cms down. Once you’ve finished, tie all of the strands together in one final knot. The plant pot will sit above this. 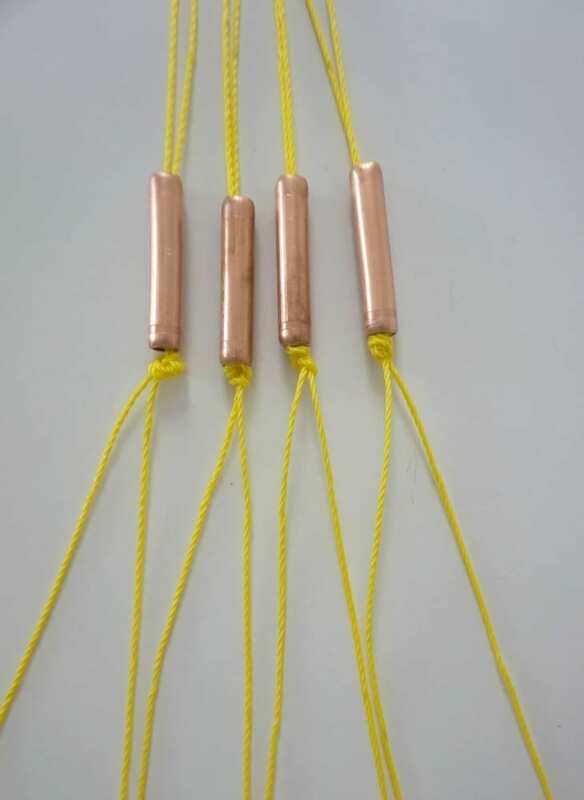 Be careful with them, as they will tangle up really easily. 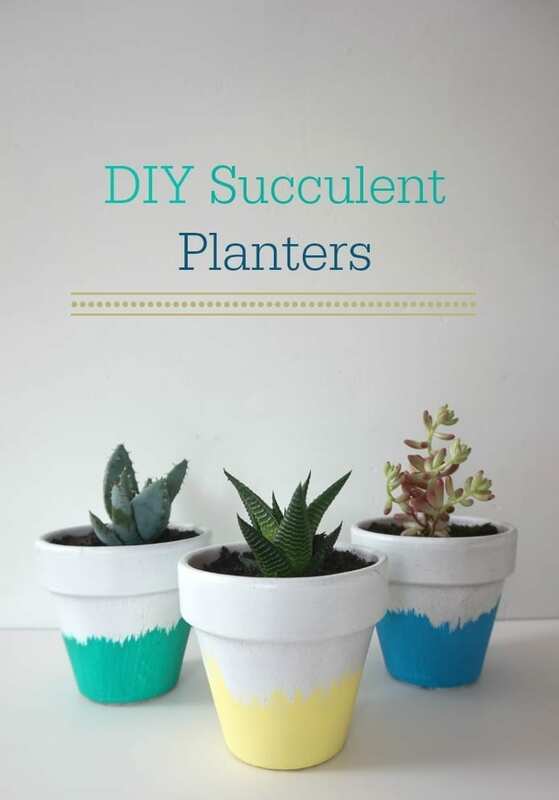 Place in your DIY planter and hang. 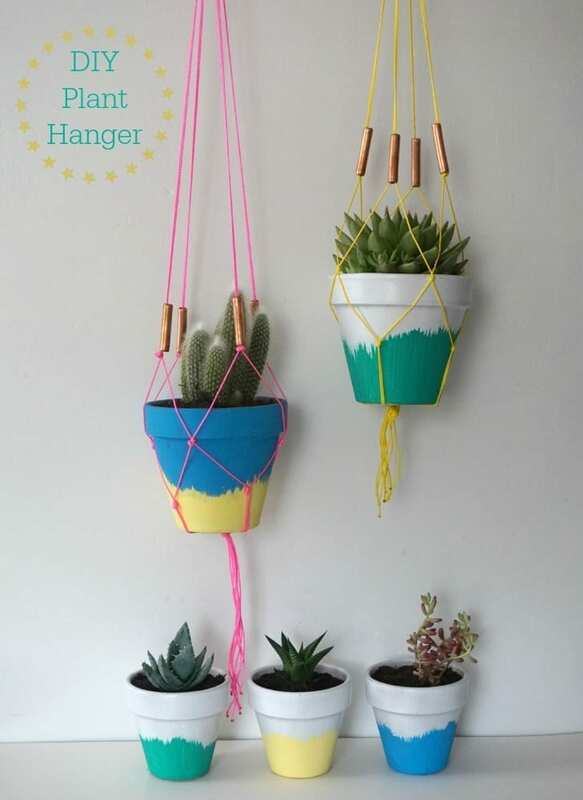 And there you have it, several bright and colourful plant pots, with striking macrame hangers. Perfect to brighten up any kitchen this summer, and beyond. Experiment with different lengths of twine and of course, different colours. I’m loving this neon vibe that this DIY Tutorial has created. 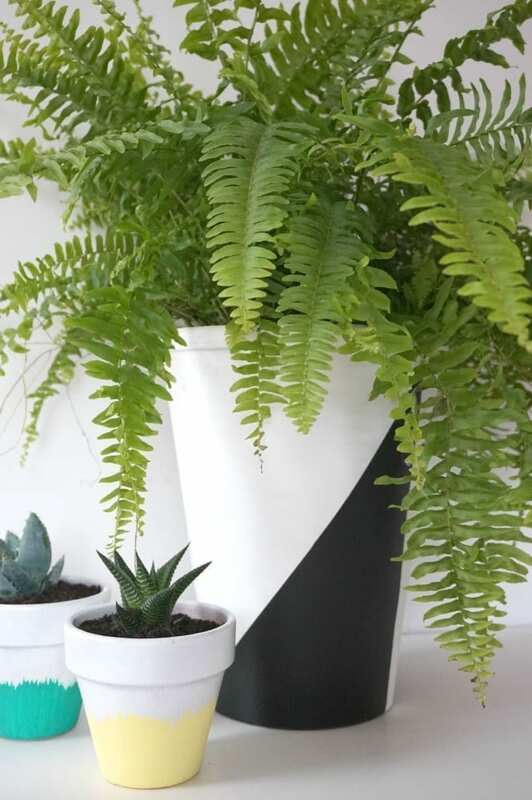 I even got a little carried away and created a monochrome, contrasting large planter using the spray paints and some masking tape. If you’re thinking about revamping your kitchen, Wickes has an incredible 50% of some of its kitchen ranges this summer. My current favourite has to be the Sofia Range, a handle-less contemporary design, available in 5 colours; white, graphite, cream, cashmere and pewter. My plant pots and macrame hangers would be the perfect accessory for a kitchen in this style. It’s worth taking a look, there’s something for every taste and budget, and always someone on hand to help and advise in store. 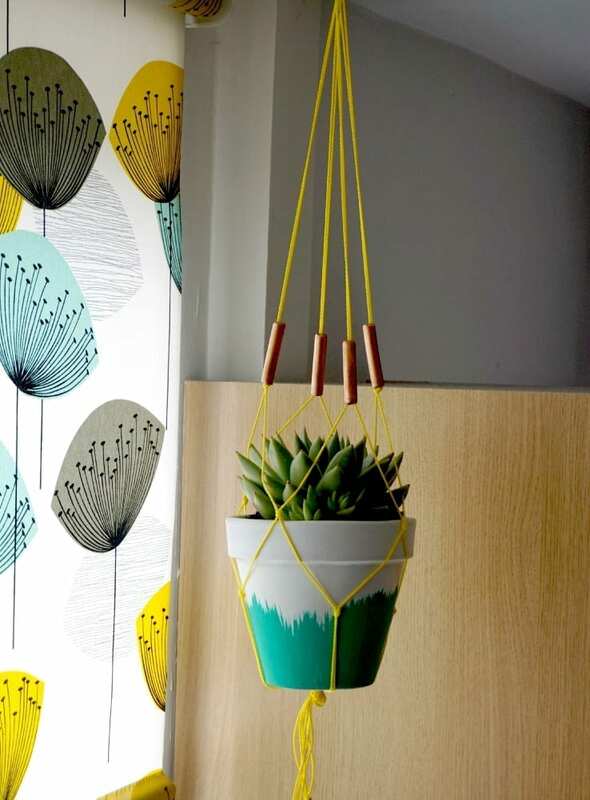 Have fun creating your own DIY Succulent planters and Macrame Plant Hangers and do let me know how you get on. Next Post Do you Need to Install a Stretch Ceiling? Can I have one for Christmas please? 😉 I love, love them! Oh these are amazing jen well done you! Wonderful crafts. Congratulations for your creativity. 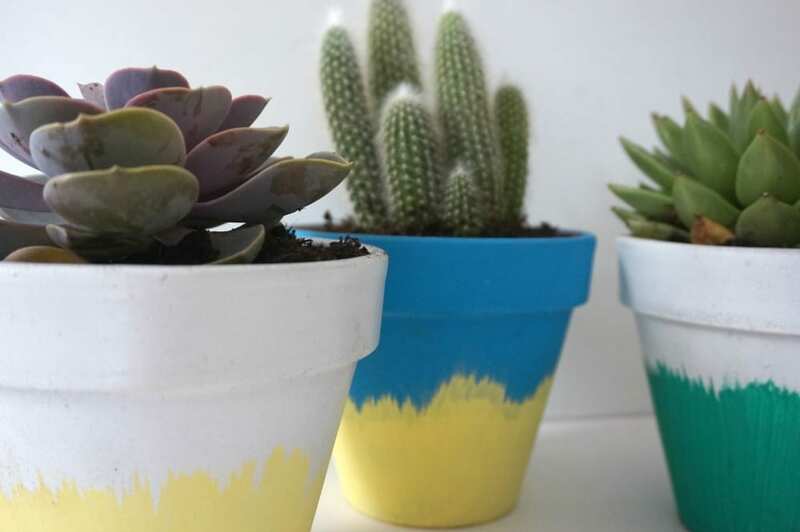 As a huge fan of succulents I am going to give these bad boys a try – they look fab!